Relate: How do you hit a fastball going more than ninety miles per hour? You don’t. At least, that’s what the scientists say. I was listening to a sermon a while back where the preacher was using an illustration of how a physicist from Yale University wrote an article in USA Today (I believe) demonstrating why hitting a 90 MPH fastball is a physical impossibility. According to the preacher this article stated that it takes about a seventh of a second (.15) for stimulus response. That is also the length of time it takes for a bat to be swung into position once motion has started. It also takes an absolute bare minimum of a fifth of a second (.2) for the batter to identify the speed and type of pitch and calculate where it will be located as it crosses the plate. This in total adds up to a half a second. The problem is, a fastball thrown at 90 MPH moves from point of release to the catchers glove in .4 seconds. Therefore it is a physical impossibility to hit a 90 MPH fastball. This theoretical impossibility flies in the face of the known certainty of the fact that fastballs are hit well frequently. 2) There are tells that the batter can look for. For example, if the count is 2-0, this pitcher is more likely to use his fastball than his curve or changeup. If the catcher sets up low and outside then it is likely to be his curve. The pitcher’s left shoulder has that twitch more often when… you get the picture. The batter is subconsciously processing all this and much more long before the ball is released and that .4 clock begins. 3) Every swing is ultimately a swing of faith. If the batter waited to swing until he knew with certainty where and how fast that ball was coming then, yes, that swing will always be late. But the batter must begin his swing on instinct before that information gathering is complete and then use the milliseconds available to him to make micro adjustments as the motion is carried out. React: I love this stuff but I’m guessing a lot of readers eyes have begun to glaze over as they read. Apologies. Let me sum it up with this. Every single swing of the bat is a cross between an educated guess and a leap of faith. This is true with virtually everything in life. The more talented and devoted an individual is to their craft, the better their guess will be but if they wait for complete knowledge and certainty then they will fail. Every single time they will be too late. God, help me to trust You and then to act on that trust. Give me the discipline to study and learn all that I can about the truly important things in this game of life. Give me keener vision, a faster mind, and sharper instincts as I live it out. But ultimately give me the courage to get the bat off my shoulders and swing away when the timing is right. Ultimately, I understand that the outcome is in Your hands, but You cannot use what I do not attempt. Let me attempt great things for You, God. Help me to swing away. What I LOVE about this post is the simplicity! Numbers numbers numbers yada yada yada – BUT … ! Such a simple truth. well written! It is not the amount of knowledge we possess that matters but what we do with what we already have. Eve sought for more knowledge and here we are! Quite clear to me. It simply makes common sense. And without common sense we are left with non-sense. Awesome word picture! It leaves me with the reality of life in general is a response to the truth we know AND accept. When we act on it–not waiting for complete clarification–at the very least we’re heading in the right direction. Thanks, BJ, for the great picture–and even greater concept. I understood it all. No glazed-over eyes here; I’m a big baseball fan! Thanks for this post on the day of the ASG. Love it, simply LOVE IT! As I type this I can hear the Texas Rangers playing on the TV in the next room. Lovely Beejai. Nope, my eyes didn’t glaze over because I’m into stretching my mind and muscles. Thank you for sharing. This gentile is into taking that leap of faith! 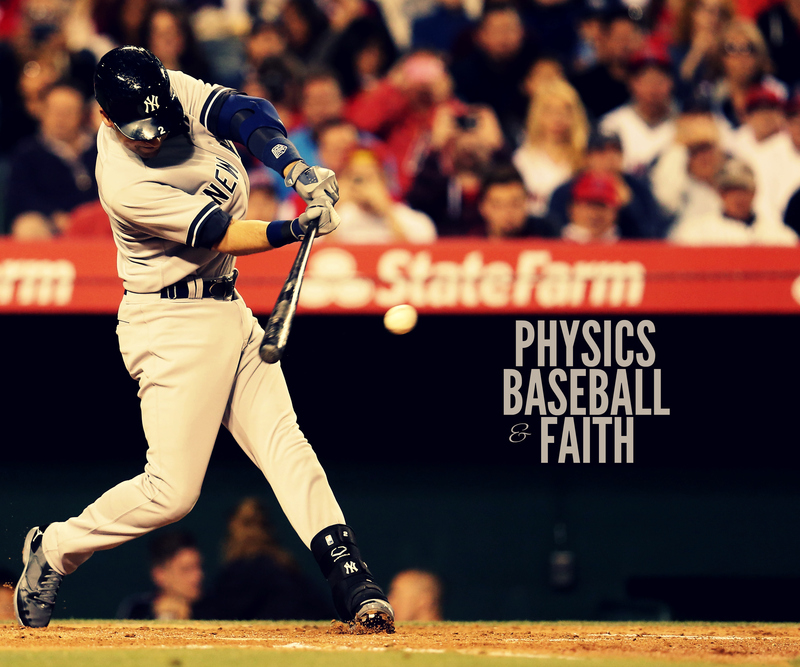 I really like the way you tied baseball into faith. Great analogy. Also, even though I hate the Yankees (Tigers fan), there aren’t any better than Derek Jeter. I really like how you tied baseball into faith. That was a great analogy. I’m a Tigers fan but there are none better than Derek Jeter. I love your wisdom in your writing when you state: “knowledge does not save.” You are so right, it is what we do with the knowledge that we do have, that brings glory to the Lord. Thank you for sharing your insight and wisdom with us. Thanks for this! I’m in the “under educated but made it” group. I have things I want to say, need to say. My lack of a formal education can leave me feeling inadequate until I recite: Phil. 4:13 NKJV “I can do all things through Christ who strengthens me.” If He calls us to it, He’ll see us through it…Amen? 90% of my education was through reading and personal study. My college degree was a waste of money. Rather interesting, I had never thought of baseball from this perspective. Amen to the prayer at the end of post. May God give me the wisdom to always let go and let God. Thank you for this post! Oh this is really good! If we are to succeed we must walk in the calculated risk of faith which is sometimes more risk than calculation! Paul still put too much faith in the validity of the Torah. Jesus knew the Jewish scripture well, but he always new when to cast it aside, and how to do it in a way that drove to the heart of the matter. For example, refusing to murder a woman, even though that was the (truly evil) punishment “mandated by God”. Jesus knew that the Torah was written down by men, and though much of it was inspired by the holy spirit (for example, the ten commandments), other parts came from the greed of man (for example, the commandment to enslave the Canaanites, the peoples of modern day Lebanon, Syria, and Jordan). If you want to see the power of the spirit to inspire, look no further than the golden rule. Jesus made it his second commandment, the first being “love God”, and asserted that from these two, all law could be derived. According to Wikipedia, it “occurs in some form in nearly every religion and ethical tradition”. Excellent, Beejay! Thanks for this. It will come to mind often as I listen to baseball games.